My husband and I are very similar, and yet very different people. A fine example is that we're both extra picky, but we tend to have tastes that are polar opposites to one another. From dish soap, to shampoo, to lotion, to anything else scented, I always find myself loving things that he just can't stand. Maybe I do it on purpose. Keep him on his toes, am I right? I used to use a "natural" shaving cream that was sold at Whole Foods. But I found the very strong perfume they added was constantly making me sneeze, and I read a lot of things about how the brand was not as natural as they liked to come off as. 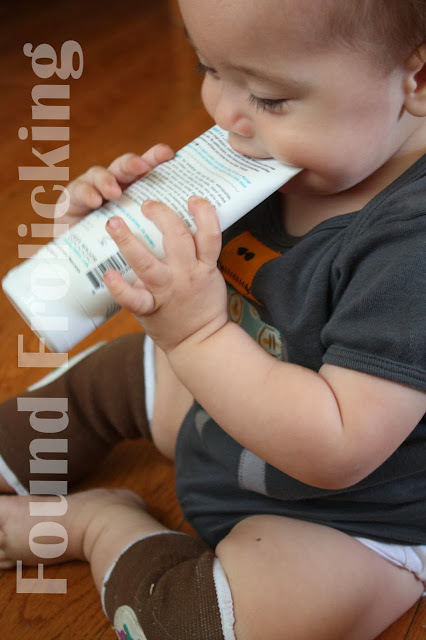 Sure enough, one look at the label, and there was a ton of artificial and questionable ingredients. I gave up on shaving cream altogether at that point, and although I continue to shave daily, I haven't been using shaving cream at all. I've been relying on only water to aid me. Not an ideal situation, as anyone who's ever tried this would know. On the flip side, my husband has always used the same, standard shaving cream in a can. I was horrified when I looked at the ingredients list, filled with chemicals and ingredients that should probably be considered toxic. I brought this up to him one evening, but without an alternative to suggest he use in its place, he shrugged his shoulders and went about his business. If you are looking for a last-minute Valentine's Day gift, or if you need ideas for a Father's Day gift, look no further than Ursa Major! Ursa Major is a US-based small business with a team of 4 working behind the scenes to bring you amazing body care products. Their Face Wash, Stellar Shave Cream, and Dopp Kit are a few of the amazing products you can find in their store. All of their products are also available in individual travel sizes, or in a Skin Care Travel Set, perfect for the outdoors lover in your life. Although mainly marketed towards men, they are wonderful products for women as well. Especially for those who tire of the strong floral scents that are prevalent in the market, used for everything from perfume, to lotion, to shampoo. I'm interested to see if they develop a line specifically for women sometime in the future (I think "Ursa Major Femme" has a nice ring to it!). 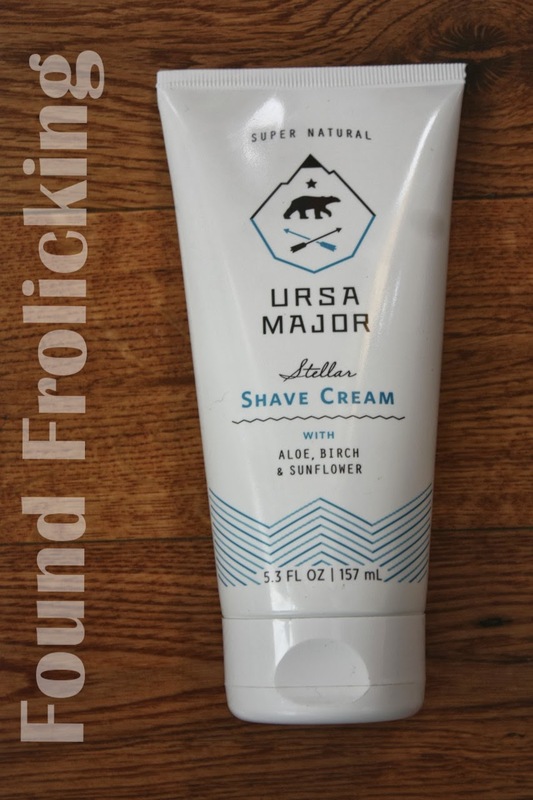 I received the Ursa Major Stellar Shave Cream for review. My husband used a modest amount of the Stellar Shave Cream to shave off a long stubble. It left him with a smooth, clean shave, and without a single cut (a miracle for him). We were both impressed. But then something happened. Something I feel a bit guilty about. One whiff of the Stellar Shave Cream, and I was in love. Sweet, smoky, and smooth, the Stellar Shave Cream made me think of hiking in the woods, of sitting in front of a campfire, of the smell of earth after a rainfall. It was just so surprisingly pleasant. So different from my husband's standard shaving cream in a can, that I don't think they should even be called the same thing! It's so far from the chemically, sharp scent of his usual shaving cream that, in all honesty, makes me sneeze. So, anyway, back to the point... I kind of... stole the Stellar Shave Cream from my husband... and then after the last few months, I used it all up... Yup, that's right. And you know what? I don't even regret it, because it was so awesome. I thought of ordering him another bottle... but who am I kidding? It'd really be for me. I'd have to order two bottles, so that we each had one. Heck, even then I may try to hoard it. It's just that good. I cannot stress enough how much I love, love, love it! There is definitely an Ursa Major order in our very near future... Only this time I'll order the entire line! To place and order and see all of the Ursa Major products, you can find them on their website. To hear news about new products, promotions, and more, follow Ursa Major on their social media. Follow them on Twitter, "like" them on their Facebook page, and follow them on Instagram! The front of the Ursa Major Stellar Shave Cream tube. 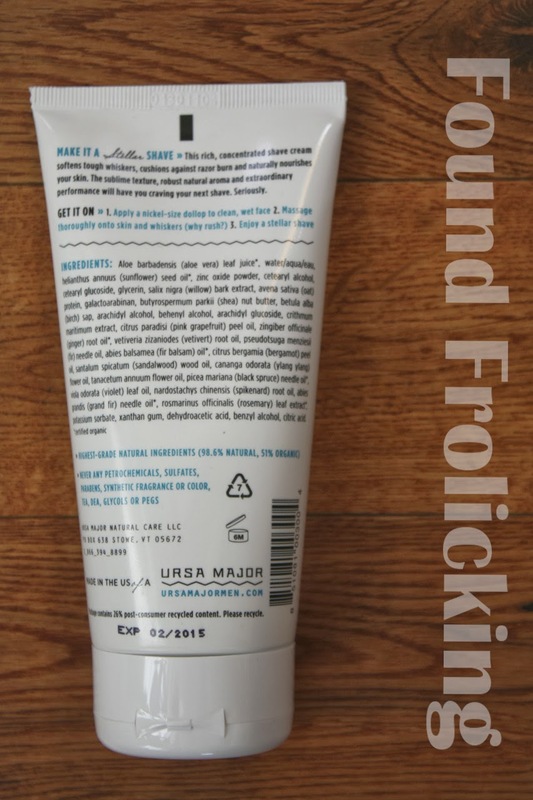 The back of the Ursa Major Stellar Shave Cream tube. Right out of the tube, Ursa Major Stellar Shave Cream is the perfect, thick consistency. To share an example, here is the Ursa Major Stellar Shave Cream applied in a thin layer. As you can see, the Ursa Major Stellar Shave Cream makes for a perfect shave! Couldn't resist throwing this one in just for fun! Baby E wouldn't listen when I told him he's not old enough for it yet! 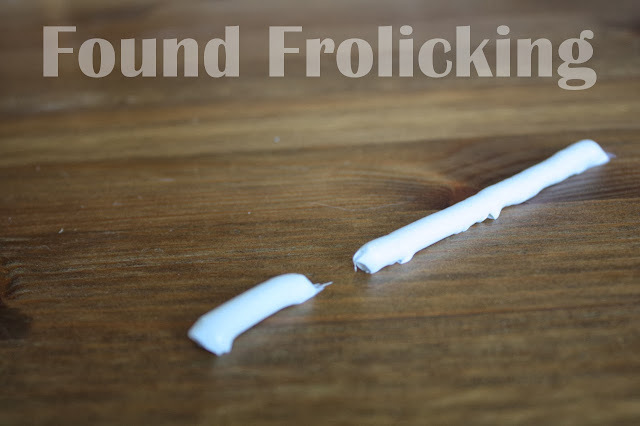 This sounds like really great shave cream, and the scent sounds amazing! Of course you ended up stealing the whole bottle for yourself! I'm sure I would do the same thing, but then again, I am already always stealing my fiance's shave cream. He's really good at pretending he doesn't get too frustrated by it, though. So funny! I'm actually glad to hear that. For awhile I thought I was the only one, and had to wonder if I'm a bit strange ;)! I've never smelled a shaving cream like this one you're describing, but boy, would I love to! My husband and I usually like opposite scents too. =D I actually don't use shaving cream...I just use bar soap. I'm curious to smell this kind though.